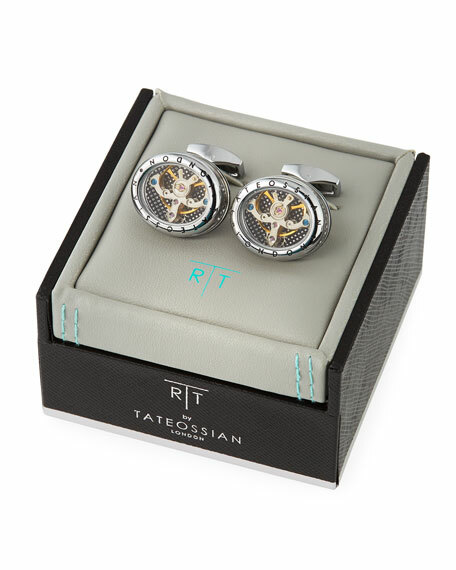 Tateossian cuff links with functional gears. 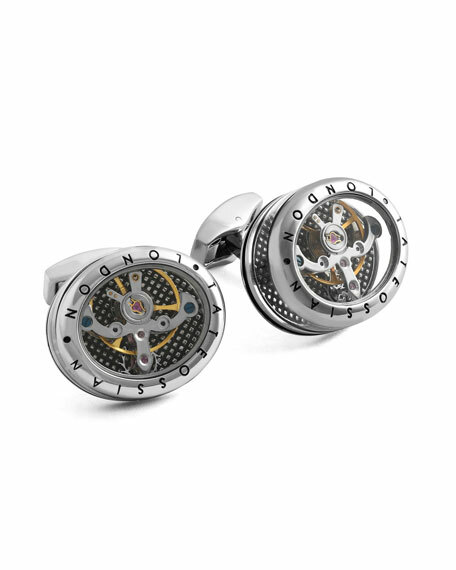 Gunmetal brass base metal with rhodium finish. Approx. 0.7"L x 0.6"W (19x14cm). For in-store inquiries, use sku #2385016.